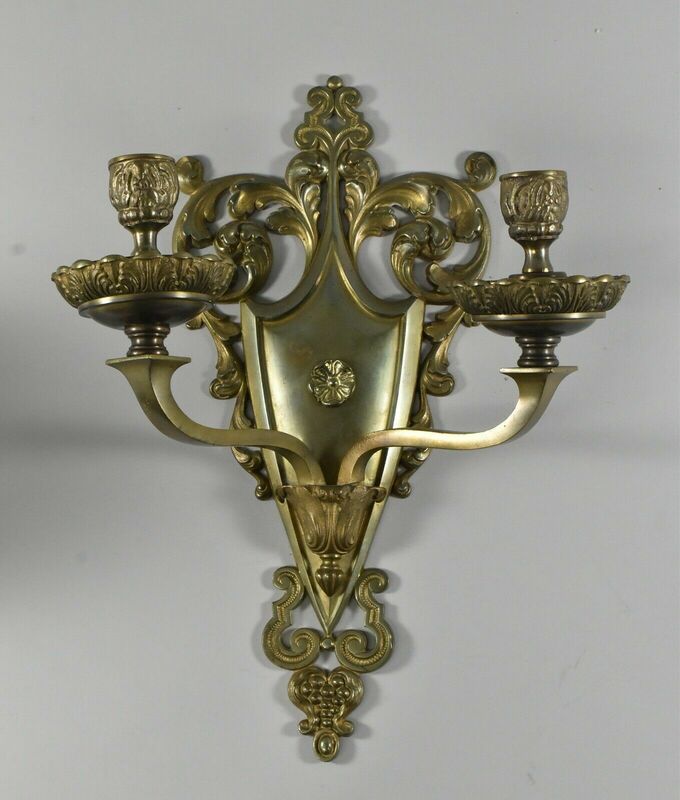 Vintage pair brass Gothic Revival two arm wall candleholder. Ornate feather details accent sheild shape back plate. Nice original used condition. Heavy, 15 1/2″ tall x 11″ wide.